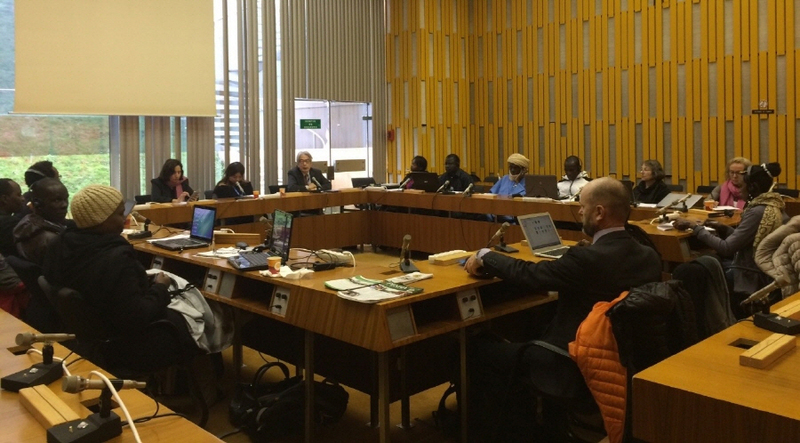 UNESCO’s Climate Frontlines initiative convened a two-day workshop in Paris on pastoralism knowledge of weather and climate change. 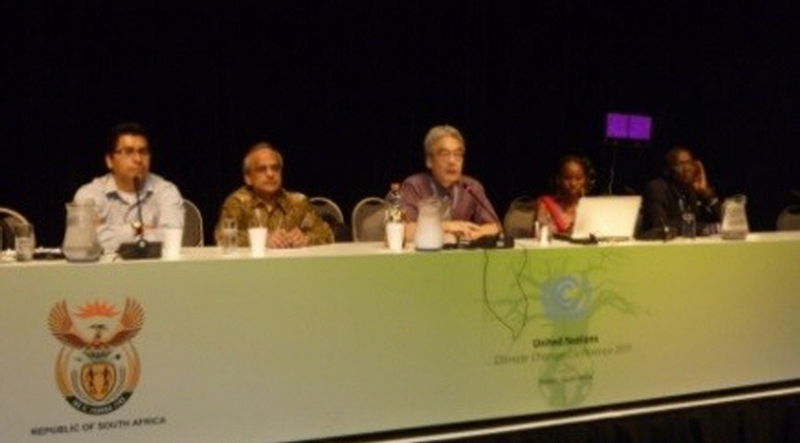 Participants from East, Central and West Africa and researchers brought together perspectives on how traditional knowledge can contribute to weather forecasting and information. 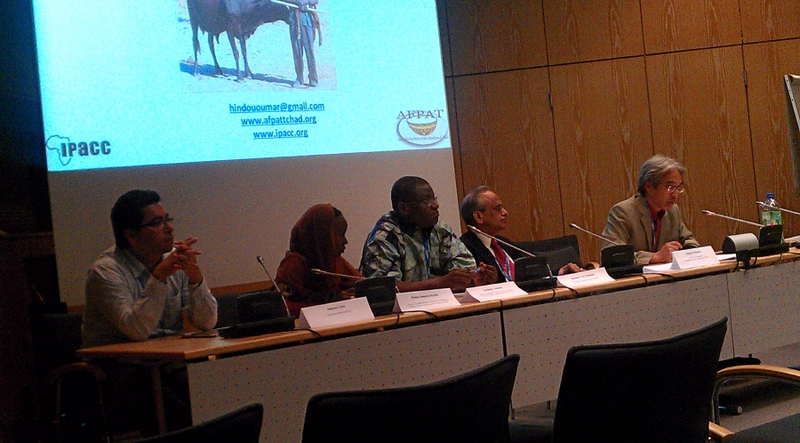 This event echoed on the need to build the capacity of pastoralism communities to adapt to climate change through engagement with decision-makers. The workshop was also an opportunity to review the proposed design and content of Climate Frontlines Project in Africa. - Propose and assess methodologies for bringing together different knowledge domains. Participants submitted grant proposals to integrate indigenous pastoralist knowledge in meteorological predictions in Burkina Faso, Chad, Niger, Ethiopia, Tanzania and Uganda. On the second day, the pastoralist community partners shared presentations on the situation in West and East Africa with researchers and government representatives. They discussed the need to invest in education to face the climate change impacts in their livelihood system, the need to work together with climate scientists and engage with decision-makers to increase successful adaptation to climate change. The Mbororo of Chad, practice transhumance around Lake Chad with their iconic red Peul zebu or Bororo. The Maasai of Tanzania engage in a multi species livestock production system that includes sheep, goats, cows, donkey and chicken. Similarly, Afar people rear many types of livestock including camel, cattle, sheep and goats. However, the camel is the most important animal, so much so that the Afar call themselves the people of camel. Bahima pastoralists are a Bantu speaking ethnic group who depend on livestock production and who prize Ankole long-horned cattle. 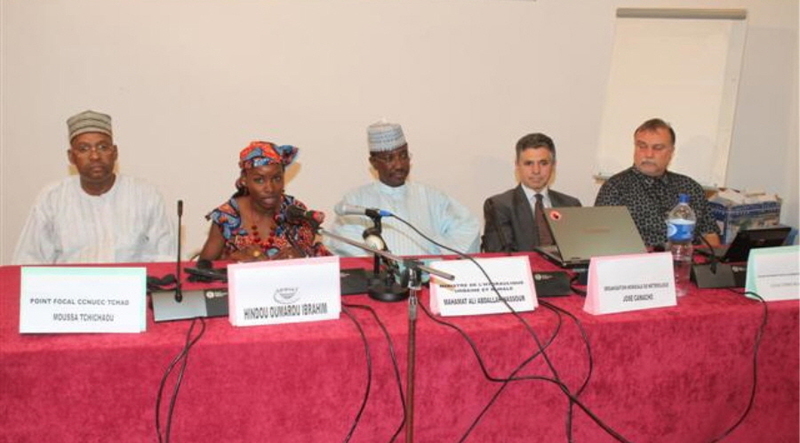 The women representatives from Chad underlined that there is a gender division in cattle ownership – men own cattle but milk belongs to women. According to them, men, who are the herders, know the cattle better. Thus, when brothers and sisters have to share inheritance, brothers usually pick the best and give the rest to their sisters. The Peulhs of northern Burkina highlighted similarities to the Mbororo case, both genders get cattle as a gift when they are children, but also as a bride price or dowry. According to the representative of Tanzania while the mobility of Maasai pastoralists has declined over time, there are permanent and temporary residences. The women and school-going children stay in permanent residences. The young and strong men move from place in search of fodder and water, constructing temporary residences wherever they go. Among the Karamojong, the women move as well and are responsible for building houses, taking care of children and doing common house chores. Bahima have a strict patriarchal society with men the sole owners and inheritors of household assets including cattle. The Afar are also patriarchal with most of the livelihood, economic and political decision made by group of elders called Asayamaras. There is a great deal of subordination of women and girls ranging from differential wealth inheritance in a family to even the amount and quality of feed consumed in a household resulting in clearly observable malnutrition among women and girls. Traditional forecasting informs pastoral activities among the Mbororo and the more sedentary pastoralist Peulh of Burkina read the stars to inform both their farming and pastoralist endeavors. The representative of this community explained that the stars help determine the beginning of the crop season. At the time of the year when the stars have the shape of a hoe, he explains, the community starts preparing fields for crops. He adds that in his community, they use a three season model, rather than the scientific two season model. There is the dry season during which the men in the community prepare fields and grazing lands while women sell milk and take care of their households. The second is the rainy season that announces the beginning of crop growing for this agro-pastoral community; and the last is the post-harvest season during which the Peulh harvest fields and then bring animals to them so as to graze. Afar traditional weather forecasting is practiced to help decision making on migration, restocking and destocking of animals. Similar to other pastoralists, traditional weather foretellers (sorcerers) observe bio-physical entities such as plants, animal behavior, stars, clouds, wind direction etc. to foretell weather. A common example the Afar mention is the use of the Dobera glabra tree (commonly called Gersa). This tree is said to become deep green when there is an imminent drought coming. The Karamajong say that when a tamarind tree flowers a lot and produces a larger amount of fruits than usual, then a bad or dry season is imminent. Observations are done by experienced and knowledgeable elders who summon the community members, communicating pertinent information and then work collectively to decide what to do based on the expected bad or good season. Information about weather and local politics is transmitted among the Afar in a traditional communication network called 'Dagu'. This is an effective communication practice and network that help the Afar to easily escape drought and conflicts, giving mobility opportunities. Among the Mbororo, decisions to move cattle from one place to another depend on factors such as the migration of birds or the cattle’s behavior. For example, herders know when cattle need to move by observing the stars or the way the cattle move their ears. The introduction of mobile phones has also increased communication among pastoralists, helping them to make decisions on where to go next. Seasonal movements of the Mbororo beyond Chad’s borders creates conflicts with neighboring countries such as the Central African Republic. In Burkina Faso, however the Peulh have transboundary agreements with neighboring countries so as to allow their herders to cross borders in transhumance. Within the Karamojong the elders advise young men and boy on condition of weather and drought and where to move when. When drought is detected by the elders, young men are advised to move to better areas with their strongest animals that include dry cows , oxen, goats and sheep. The Maasai perceive that drought has increased both in intensity and frequency. Periods that were usually rainy periods in the past are becoming increasingly drier. Recurrent drought is also a common problem in the Karamajong pastoral areas. Similarly, the most important livelihood challenge for the Afar is the reoccurrence and increased frequency of drought. Though empirical evidence indicated that there has not been much decrease in amount of rainfall over the last five decades in the Afar, the distribution and variability has increased, disrupting traditional migration routes etc. The Afar claim that there used to be seven rainy period years in the past. However, the amount of rainy periods declined to two or three in a year affecting productivity of livestock and consequently well-being of animals. In addition the Mbororo and Peulhs of northern Burkina observe that drought and floods have stimulated the development of weed that their herd animals are not used eating. This has reduced their appearance, weight, health (i.e. liver worms), and growth due to malnutrition. In terms of climate adaptation measures, the Peulhs of northern Burkina Faso have not yet adopted camels, even though these animals are generally considered drought-resistant or even immune. Nonetheless, the Peulhs encounter them in their interactions with the Tuaregs who breed them for the group’s much drier and harsher environment. In Chad, the Mbororo are beginning to introduce camels to their communities but consider them still unusual and are fascinated by their peculiar appearance. In Burkina Faso, research institutes are promoting the use of improved feed for cattle in order to help pastoralists adapt to decreased grazing land, shrinking cattle size and poorer cattle diet. Yet, the Peulhs pastoralists do not want to use the feeds because they are not familiar with them and they were also not consulted during the research and production processes. Pastoralist communities are investing in education as an adaptation strategy to climate change, globalization and uncertainty in their livelihood systems. This is leading them to become more sedentary, especially in places like Burkina Faso. However, while in Burkina Faso and Niger, the Peulhs and Tuaregs are fully embracing Western education, in Mbororo communities, that education has been adapted to local realities so as to benefit a pastoralist lifestyle. For example, nomad schools enable children to go to school during specific days and times of the week while using the other days for herding and related activities. The workshop also discussed conflict, both among the different pastoralist groups and with farming communities. They also talked about religion, for example in the Mbororo community religion plays a major role, its integration in environmental protection provides further motivation and more reasons for people to change their behaviors and protect the environment. At the end of the roundtable, group members agreed that was a great opportunity to share knowledge and network with participants from other countries who experience similar challenges.